It was around 6pm on Friday, September 16th when a bunch of SRT 70-Mile participants hopped off a yellow school bus to meet the remaining SRT 70-Mile participants at High Point State Park in New Jersey. Like a school bus of children on their first day of school, we were excited and nervous (and most of us had to pee). 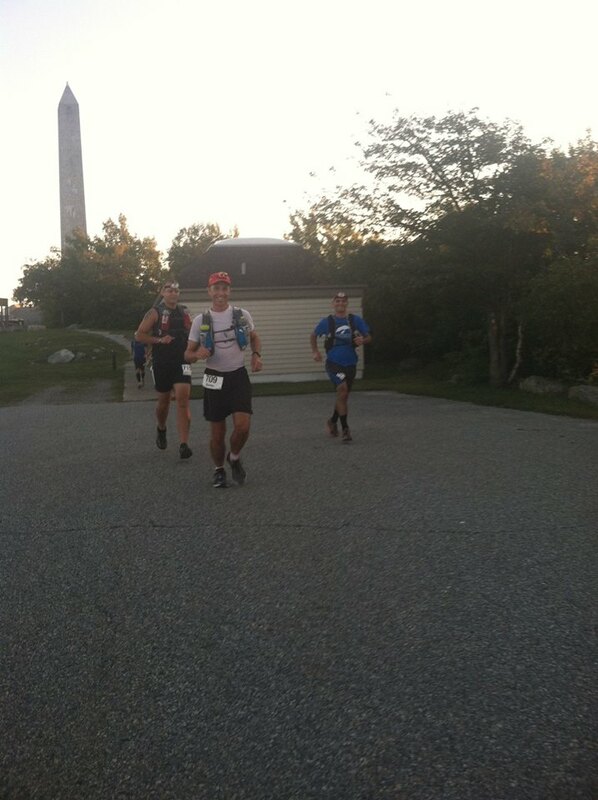 After a quick race briefing from the Race Directors, we were off to the starting line at the SRT’s southern terminus. We snapped a starting line photo and the RDs let us loose on our journey to Rosendale, a 72 mile trek along the Shawangunk Ridge Trail. The shuttle bus from Rosendale (where the race finishes) bumped across a narrow bridge to a small parking lot, illuminated by a single light. The 8 of us (that was it!) trotted out into the misty darkness. The race director gave us waterproof maps and our race numbers and a few navigational tips before the 6 AM start. Here’s a race report from Kevin Russell, one of the 74-mile particpants in the recent SRT race, which takes place along the Shawangunk Ridge Trail. Kevin’s lively story features field-expedient shoe repair, a porcupine, bushwhacking, and rock scrambles. Thanks for sharing, Kevin!